The Parish Op Shop accepts payment by Credit and Debit Card. 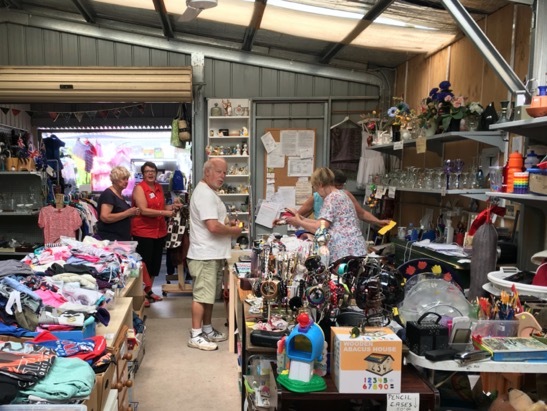 The Opportunity shop (Op shop for short) operates from a purpose built building on the church site at Torquay. It is co-ordinated by a manager and staffed by volunteers. The shop is well stocked with household items, clothes and books. The shop performs several functions. Proceeds from sales make a valuable contribution to the church funds but just as importantly the shop has an important function in reaching out into the community. Many people come as much for company and a chat as to buy and our volunteers are happy to meet their needs as best they can. On days of temperatures over 38 degrees, the Op Shop will be closed or have limited hours, signs will be posted to this effect. Coordinators have authority and discretion to make decisions based on forecasts and safe work practices.